HVWS Summer Camp is the perfect place for natural and exciting summer fun! 2019 Summer Camp will run from Jun. 24 to Aug. 23. Questions? Please e-mail Camp Director Marcela Perez. HVWS Summer Camp is a day camp for children ages 3-14. 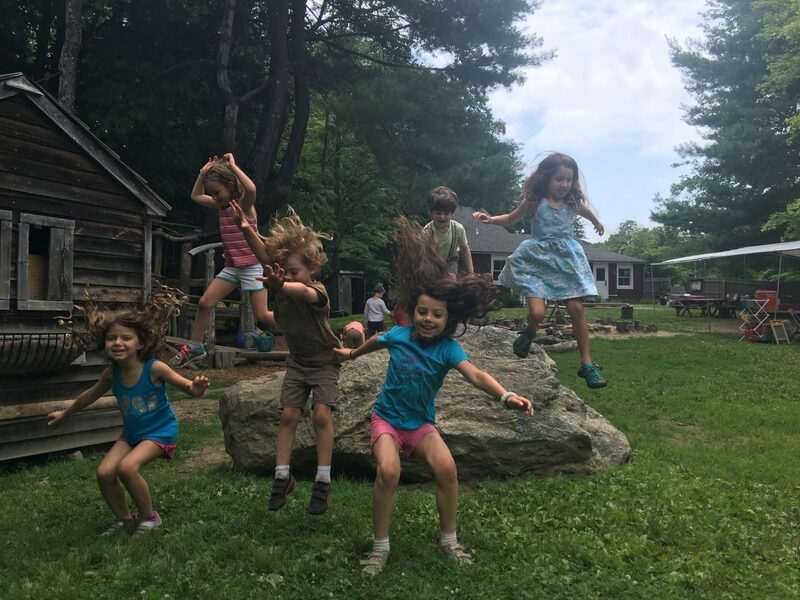 Offering two groups—Explorers for 3- to 8-year-olds and Artists for 8- to 14-year-olds—HVWS Summer Camp is the perfect place for natural and exciting summer fun! Led by caring and talented educators, HVWS Summer Camp invites children to enjoy the summer through participating in a variety of activities. 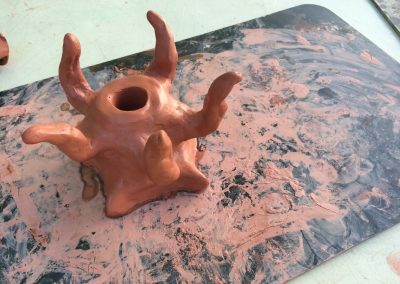 Our Explorers will play with water and mud; participate in group games; enjoy organic gardening, cooking and snacks; and make arts and crafts related to the theme of the week using natural materials such as wool, beeswax, silk, wood, etc. 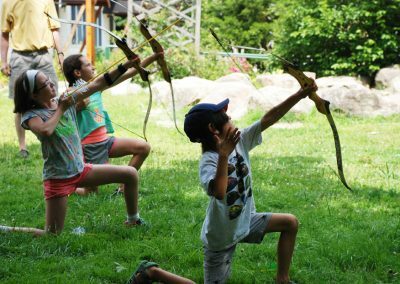 We follow a simple daily rhythm that provides the campers with a sense of trust and ease while they explore nature, make new friends, and learn new skills. Our Artists are more capable of challenging themselves physically and socially. 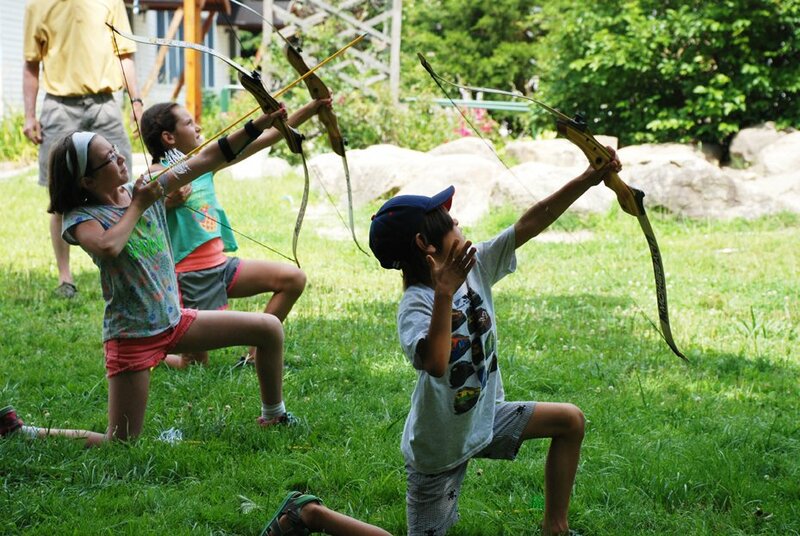 Our goal is to provide opportunities that meet our older campers developmentally in a safe, natural environment. 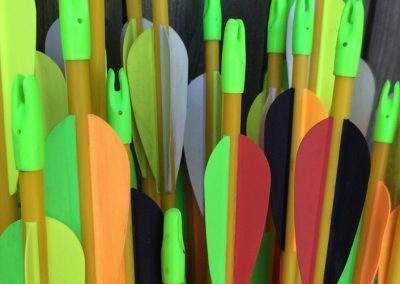 Our Artists will learn specific skills such as theater improvisation, shelter and vehicle building, wilderness survival, musical instrument construction and playing, archery, and circus arts. The Summer Camp day runs from 9 AM to 3 PM. We provide an organic, allergen-free, non-GMO snack and campers bring their own lunch daily. For more information about Summer Camp, please e-mail Summer Camp Director, Marcela Perez, at camp@waldorfct.org. There is no better time than the summer to enjoy water play. Sand, mud and water are great companions in the summertime. Throughout our 8 weeks of camp we will have plenty of outdoor time and fun building, creating, and relaxing in the warm weather. 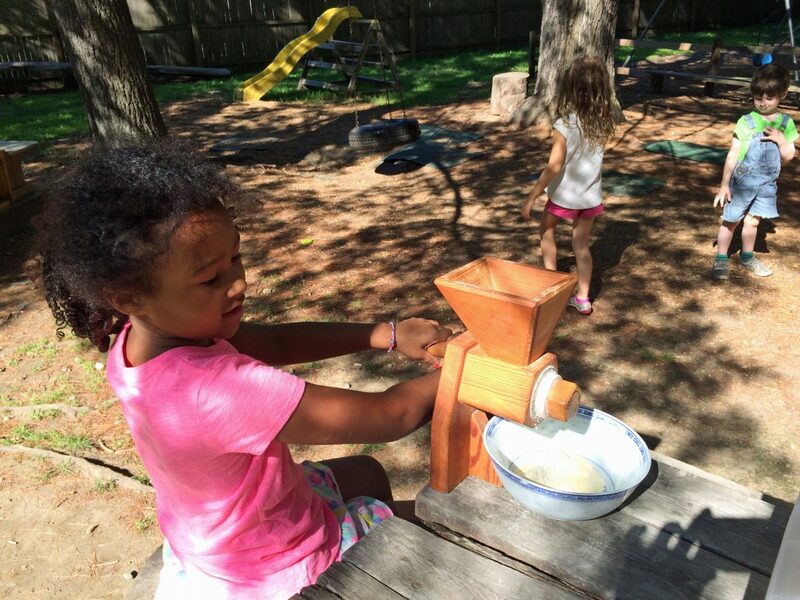 The sprinkler will shower playtime and turn sand into a building material! Register before June 1 to receive a $10/week discount. While summer can be a time to relax, it is still fun to add a little music and merriment to your days! Join us as we create simple percussion instruments, colorful hats, and wave our batons to the melody of the summer sounds around us. We will lead a musical parade as we serenade the birds, bees and butterflies! 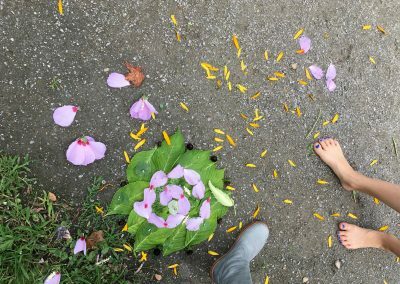 “Oh what abundance the summer doth give…” Spend the week with friends, flora, and fauna as we cultivate our summer garden! You will enjoy planting seeds that you’ll bring home to watch grow in the summer sun. Working together to grow the land is mighty fun with friends by your side! Deer, squirrels, foxes, turkeys, owls and many more animals will show us this week how they live in the woods! We will use different materials to make them tiny and see what they look like when we have them in our hands. We may also explore the places where they hide through stories, drawings, watercolor and beeswax modeling. We may even turn into one of these forest creatures to play with our friends! Summertime is the perfect time to observe and run alongside our winged and multi-legged friends. We will build bug houses to safely keep an eye on our friends before we release them back into their habitats. Watercolor painting, beeswax modeling, and more are ways for us to bring our friends home with us without taking them from the garden! How fun it is to build different size shelters and tunnels! We will use a variety of materials–including sand, mud, and water–to build tiny structures to use in our imaginative play and larger structures to shelter ourselves and our friends. We may also paint, draw, and even make a little town together! The woodland creatures need protecting! Together we will build houses to keep our fairy friends safe, ride on “horses” into the sunset, and build castles in the sandbox, all the while keeping an eye out for the dragon we will attempt to tame. sail with our friends! We will draw and paint the wonderful lands we may visit. Tumbling, juggling, and “walking the tightrope,” are all activities our inner clown enjoys! Have fun this week making your own juggling balls, playing with circus toys, and clowning around with friends. Fee: $260/week; week 2 only, $210/week Register before June 1 to receive a $10/week discount. Music and Musical Instruments We are opening our camp this year with a week dedicated to the creation of musical instruments and music. On this week’s last day, musicians Andes Manta from Ecuador will offer our campers the opportunity to create an instrument from the Andean music tradition (different than the one they fabricated at last summer camp!) and perform for their parents a few musical pieces under their guidance. Andes Manta will also offer a concert open to the public. Our campers will be special guests at this concert! 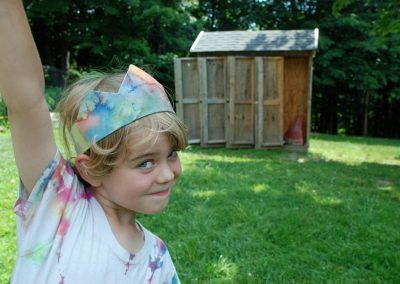 Theater Improvisation This week our campers will have fun creating theater improvisation performances. They will create plots, characters, stories, and games drawing inspiration from various sources. Depending on the participants, the improvisations may be dramatic or comedic. Campers will have the opportunity to invent their own costumes and sets as their stories unfold. Archery and Life in the Forest (ages 9-14) This year we are excited to offer two weeks in which the participants will alternate between their Archery training–exploring the fundamentals of archery including safety and proper target techniques–and learning about traditional and contemporary ways of surviving in the forest. Shelter Design & Building During this week the participants will explore creating and building shelters out of different materials. Campers from 5th to 8th grade may also be interested in learning the basics of drawing architectural plans and designing a small shelter on paper with our camp director, a trained architect. Life Size Puppets During this week participants will develop a plot, story, dance, or game to be performed by life size puppets. Campers will learn how to build puppets and also how to bring them to life during a performance. Vehicle Design & Building During this week campers will explore creating and building vehicles out of different materials. The vehicles maybe tiny, or big enough to carry a camper or two! Campers will also have the opportunity to paint, draw, and imagine the lands they will visit and the different vehicles they may use to do so. Circus Arts (ages 9-14) This year we offer two weeks of Circus Arts devoted to developing skills that will culminate in a circus performance extraordinaire at the end of each week. 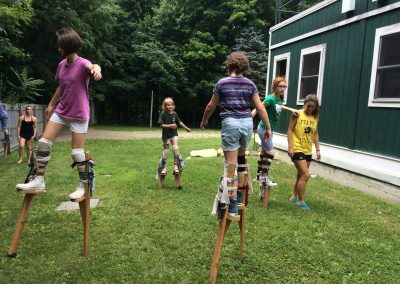 Campers will practice skills such as unicycle riding, stilt walking, advanced tumbling, and juggling with everything except fire! Each week is sure to be full of testing and challenging physical limits while “clowning” around with new friends. 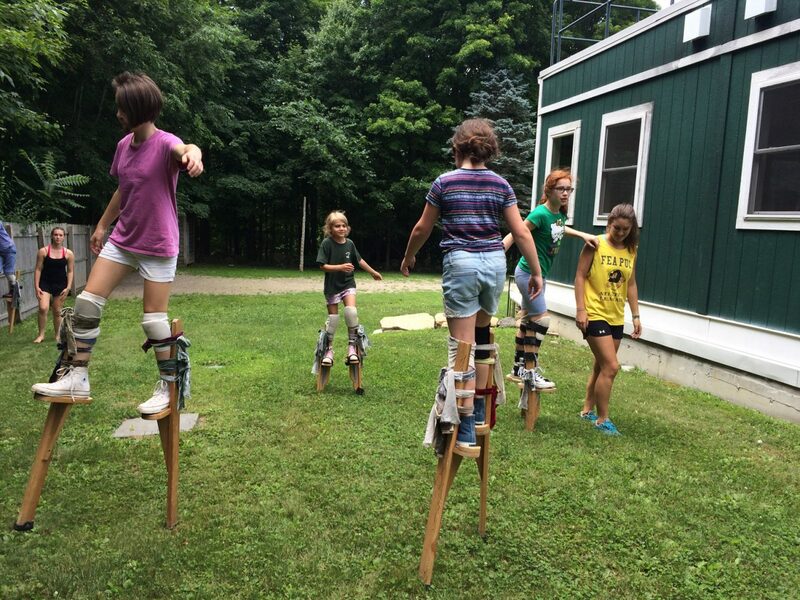 Campers in the second week of Circus Arts must have prior Circus Arts experience.